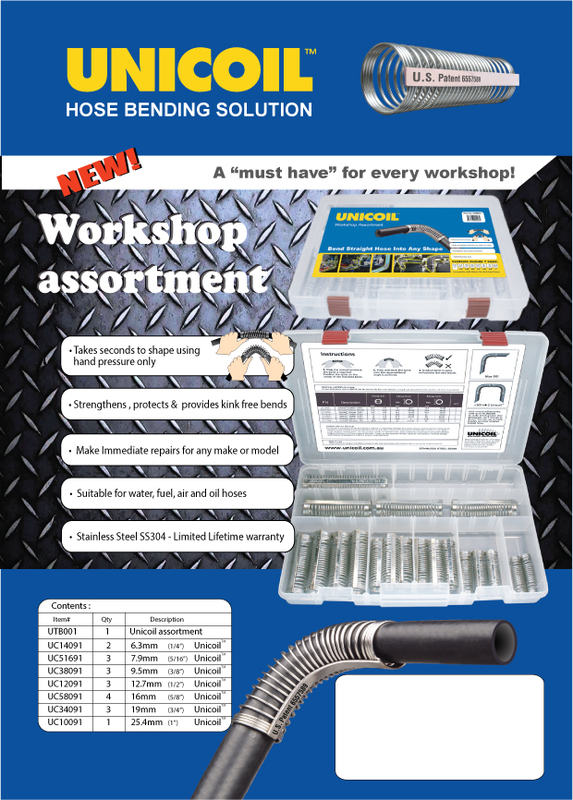 A must have for every worshop! Takes seconds to shape using hand pressure only. *Primary hose applications are intended as a basic guide only. Unicoil products are compatible with oil,air,water and fuel hoses.Additional applications are possible,refer to hose Min and Max O.D. 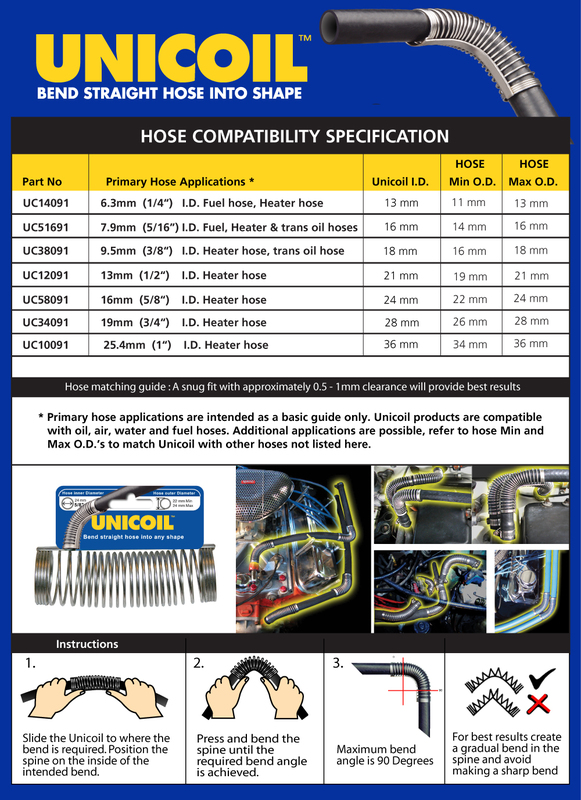 's to match Unicoil with other hoses not listed here. Slide the Unicoil to where the bend is required.Position the spine on the inside of the intended bend. 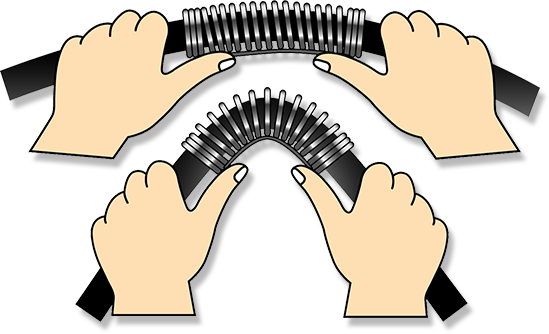 Press and bend the spine untill the required bend angle is achieved. Maximum bend angle is 90 Degrees. For best results create a gradual bend in the spine and avoid making sharp bend. Unicoil International Pty Ltd, is an Australian Company which designed and launched its patented Unicoil innovation in 2003. 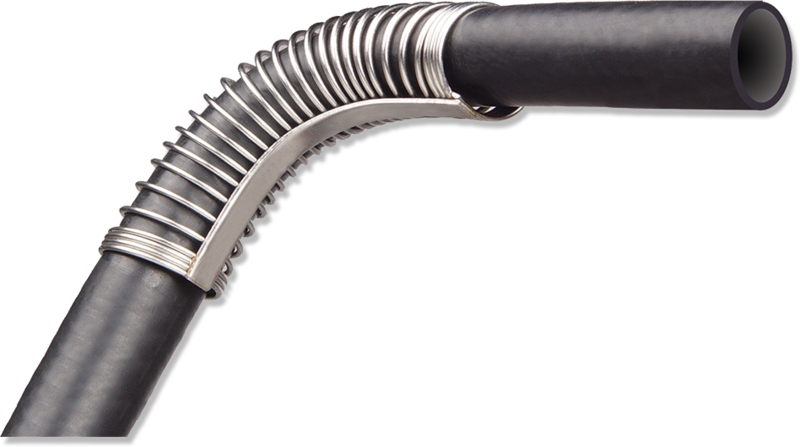 Create almost any moulded hose in seconds by simply using hand pressure with Unicoil’s simple patented design. 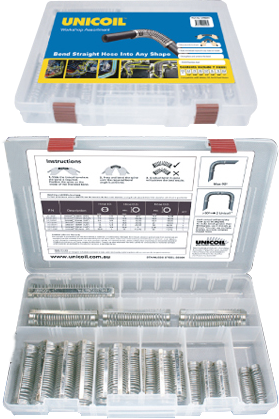 For nearly 15 years we have been manufacturing and distributing Unicoils worldwide, and the millions of vehicles repaired around the globe using Unicoil are a testament to our products versatility and reliability.